The Sweet Dreams Poplar mattress is traditionally upholstered, which provides a comfortable supportive layer on top of the open coil spring system. Micro-quilted fillings is a more contemporary method of securing the mattress fillings, where the top comfort layers are quilted together providing a smoother sleeping surface. The flag-stitched handles are on both sides for ease of positioning. 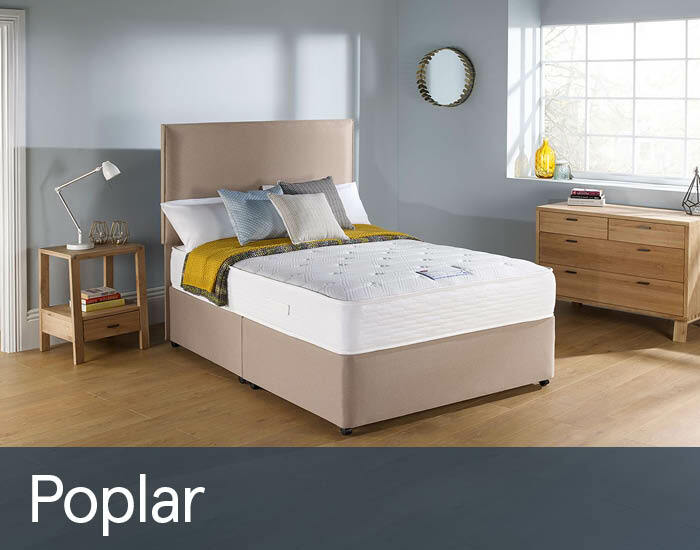 With a vast selection of drawer combinations and various divan base, the Poplar divan set does not only constitute a practical storage solution but also a centerpiece in your bedroom.